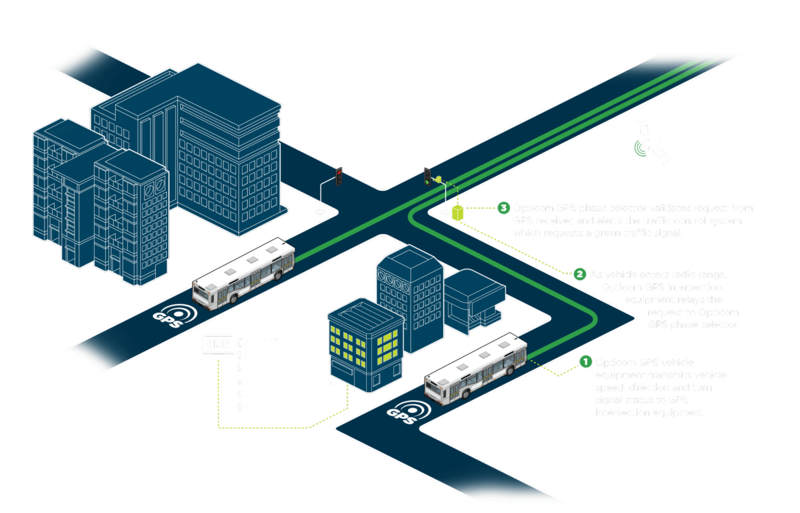 Global Positioning System (GPS) technology and highly-secure radio communications power the Opticom GPS-enabled platform − a robust, secure Transit Signal Priority (TSP) solution from GTT. Opticom GPS-enabled systems offer unmatched precision and superior management capabilities that will allow your agency to quickly realize savings. Built on more than 45 years of Opticom signal priority performance and reliability, the Opticom GPS-enabled platform provides the intelligence to improve transit operations and the power to connect cities today and into the future. The Opticom GPS-enabled platform brings together a combination of proven hardware, advanced software and comprehensive services to enable operational efficiencies for transit agencies of any size. Learn from your peers. Discover how GTT helps municipalities resolve their most pressing traffic challenges. The East San Francisco Bay Area’s SMART Corridors program is changing the way that drivers think about buses.